Your engine is the heart of your car and one of the most expensive parts to replace. With your good care, it can last long. We have met many owners of high-mileage cars and trucks with an engine that still runs like new. What is the secret? Your engine has a lot of moving and rotating parts. These parts need to be well lubricated, whether it's freezing or sweltering outside. That's the function of the engine oil. As you drive, the oil degrades. It breaks down under high temperatures and loses its lubricating quality. As a result, carbon deposits form on internal parts. 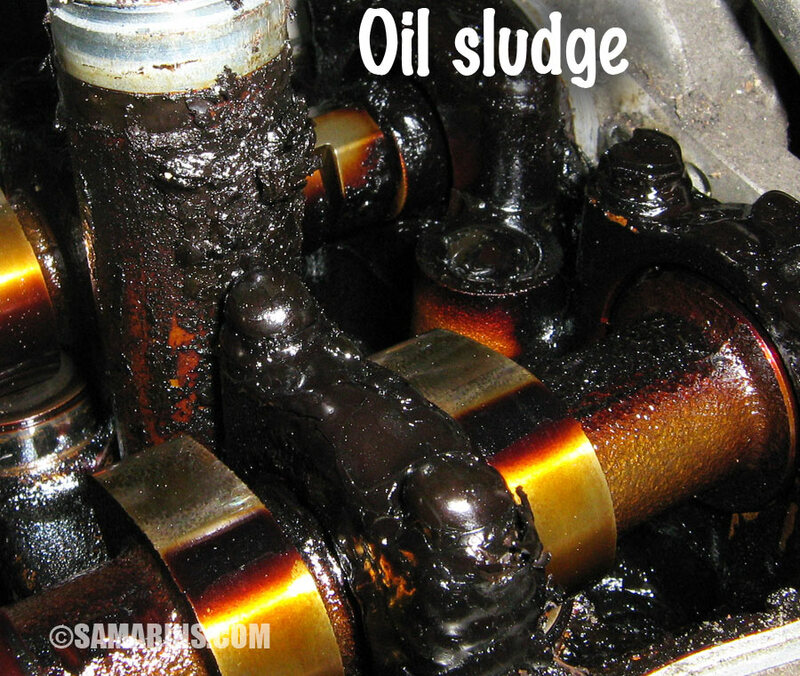 See this photo of oil sludge inside the engine. Through the engine ventilation system, carbon deposits spread into the engine intake and build up inside the throttle body and on the intake valves causing Check Engine light problems. The increased friction causes accelerated wear. Synthetic and semi-synthetic oils can withstand higher temperatures and last longer, but they have their limit too. For as long as you keep up with your oil changes and keep the oil level topped up, your engine remains well-lubricated and clean inside, like in the top photo. What are the signs that your car needs an oil change? You can check the engine oil level and condition with the dipstick. If it looks too dirty, have the oil change done. 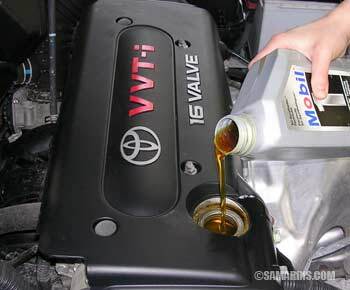 Read here on how to check engine oil: Simple car maintenance checklist. Is there a warning light for low oil? 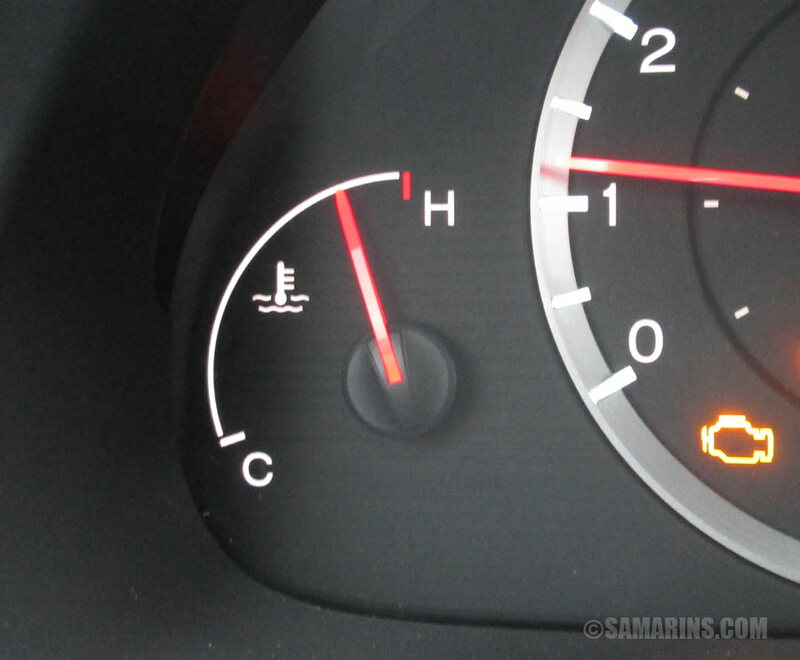 No, most cars don't have any warning light that will warn you if the oil level is low. There is the low oil pressure warning light, but by the time it comes on, the level could be so low that it's not even enough to keep the minimum oil pressure. The proper oil pressure, as well as the level are vital for lubrication of all moving parts. Many cars have an oil change reminder message, but it's based on the mileage driven or time since the last oil change. The oil change reminder doesn't know the oil level. Will the Check Engine light come on when the oil level is low? The low oil level could cause the Check Engine light to come on, but again, the level might be already so low that it caused more problems. 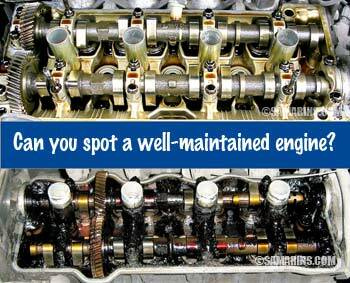 For example, a timing chain may skip without proper tension. In most cars, a timing chain tensioner is controlled by oil pressure. Another common problem is when the low oil level causes problems with a variable valve timing (VVT) system that is also controlled by oil pressure. How often should you check your oil? The goal is to maintain the proper level of oil. Car manufacturers recommend checking the oil level on a regular basis, some manufacturers advise doing it every time you refuel. Many modern cars consume some amount of oil between oil changes. If you check the level after 1,000 miles and it is close to the "Low" mark, check it more frequently and top up as needed. Oil leaks are another reason to check the level more often. Some cars barely use any oil between oil changes. If you check the level after 3,000 miles and it's still close to full, then you know when you should check it the next time. Overheating is the source of many engine problems and in worst cases, it can result in major engine repairs or even replacement. One of the common problems is when the coolant level drops due to leaks, which causes the engine to overheat. Other reasons for overheating include a failed water pump, radiator fan or the thermostat. How can you prevent overheating? Keep the cooling system topped up and have the vehicle checked if the engine temperature rises more than normal. 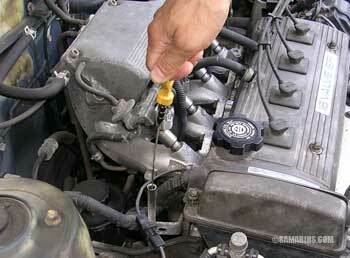 Read: Car maintenance checklist: how to check the coolant level. 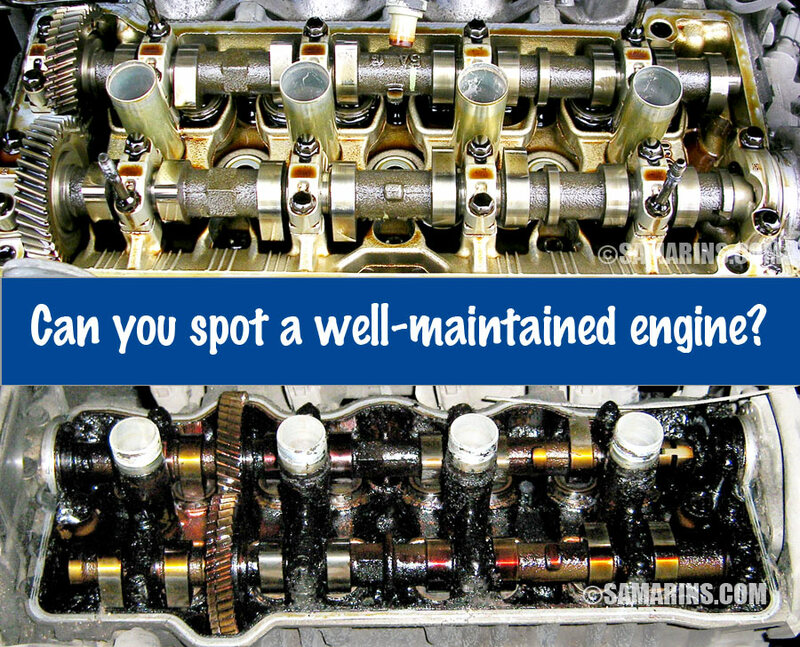 Watch out for coolant leaks and repair them before the coolant drops to dangerous levels. Keep the front of the radiator clean from debris, as the coolant is cooled down by the air flow passing through the radiator fins. Most modern cars already require synthetic oil, as it offers better protection for the engine. Synthetic oil can withstand higher temperatures, lasts longer and provides better lubrication at below-zero temperatures. 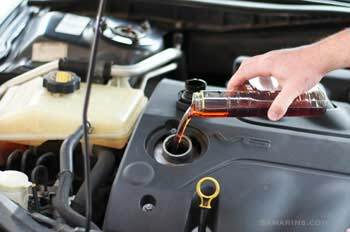 Using synthetic oil makes perfect sense if you have a low-mileage or turbo engine or often drive in severe conditions such as high temperatures, excessive load or longer intervals without an oil change. However, if your car doesn't require synthetic, switching to synthetic oil at high mileage is not always worth the extra cost. 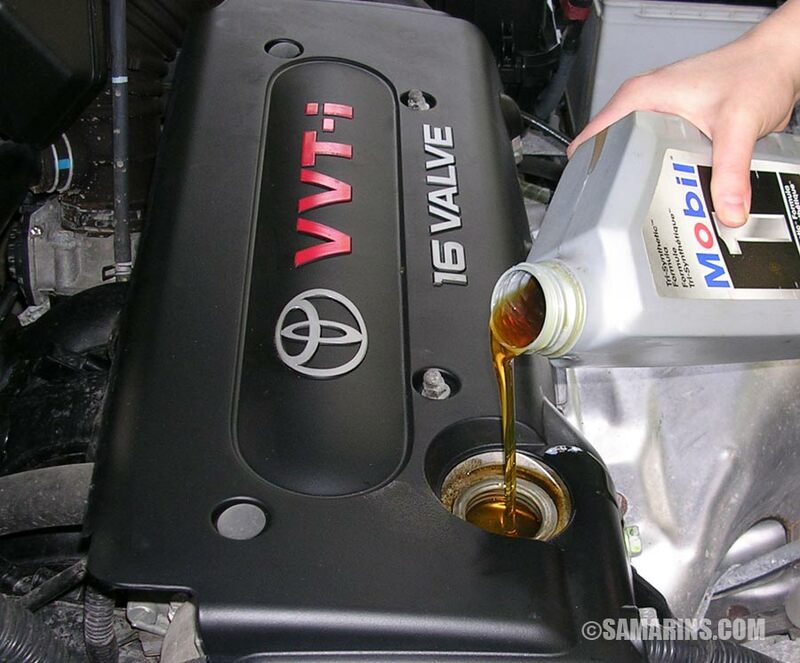 A high-mileage engine is more likely to develop leaks or run noisier with synthetic oil as it's "thinner." How long can you go between oil changes with synthetic oil? Synthetic oil does lasts longer, but what about products of wear? Rotating and moving parts inside the engine will wear, whether you use regular or synthetic oil. If you drive longer between oil changes, the tiny metal particles and other products of wear mix with oil, reducing its lubricating ability. On top of this, they clog up the oil filter, restricting the oil flow, which in turn, further increases friction. We recommend keeping oil change intervals close to what is recommended by your car manufacturer regardless of type of oil used. Do oil additives really help? Most car manufacturers don't recommend using any additives, but you will find many people swear by them. We had tried several products in different engines. Some oil additives didn't have much effect, but others actually worked. For example, there was a four-year old Honda Accord that was consuming more than 2 quarts of oil between oil changes. Since the engine overall was in a good shape, we suspected that the oil rings were stuck in their grooves due to carbon build-up. We added an oil additive that was said to "help free sticking oil rings" and it worked. After this, the oil level in this Honda stayed almost the same between oil changes. 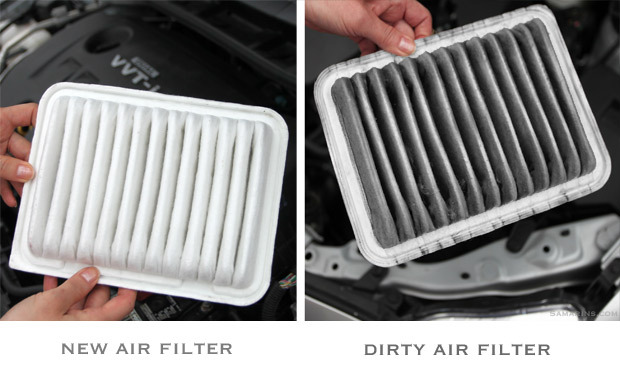 An engine air filter prevents dust and other debris from being sucked into your engine. A clogged-up air filter restricts the air flow, causing lack of power when passing or accelerating. An old air filter can actually collapse or rip through, allowing sand and dust into the engine. An air filter is typically replaced every 15,000-25,000 miles or more often if you drive on unpaved roads. Replacing an air filter can cost from $30 to $50. Many DIY car enthusiasts change an air filter at home; in most cars, it's actually not very difficult. Does your engine need a tune-up? An engine tune-up needs to be done every 60,000 to 90,000 miles. In modern cars, a tune-up may include changing spark plugs and an air filter. Iridium- or platinum-tipped spark plugs last longer, but we have seen them getting contaminated to the point where they cause an engine to misfire. 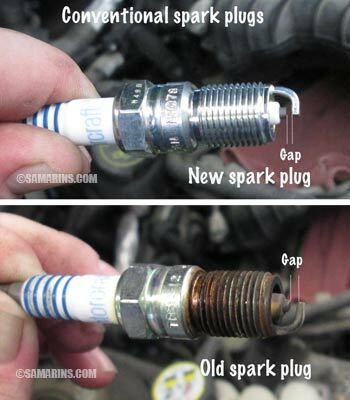 Read more about spark plugs below. If your car has spark plug wires and fuel filter, they may also need to be replaced. In some cars, a PCV valve can fail causing increased oil consumption. It's another item to check during a tune-up. Your mechanic may also suggest cleaning the throttle body. A very dirty throttle body can cause too low or too high idle speed and the Check Engine light. 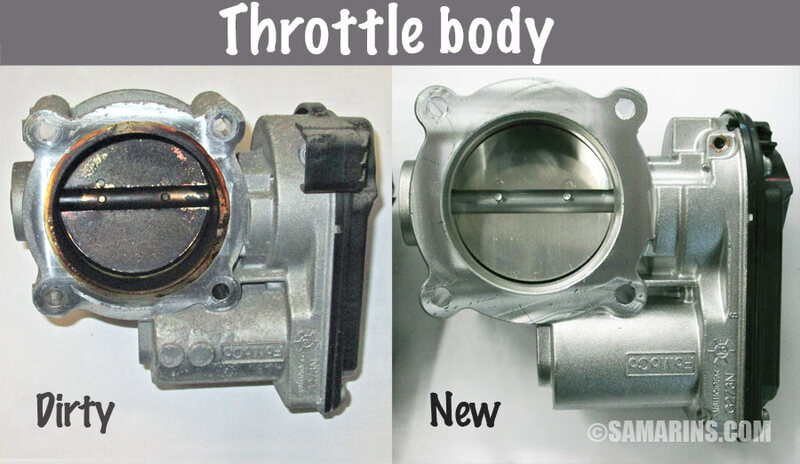 See how a dirty throttle body looks compared to new. Often, problems with idle speed happen after a car battery has been replaced or disconnected. When the battery is disconnected, an engine computer resets some learned values, including the throttle angle. In many cars, the idle RPMs has to be re-learned after disconnecting the battery. In some high-mileage cars with direct fuel injection, carbon deposits, accumulated on the intake valves (see the photo) can cause misfiring. If your car has a direct injection, your mechanic may suggest cleaning intake valves during a tune-up. 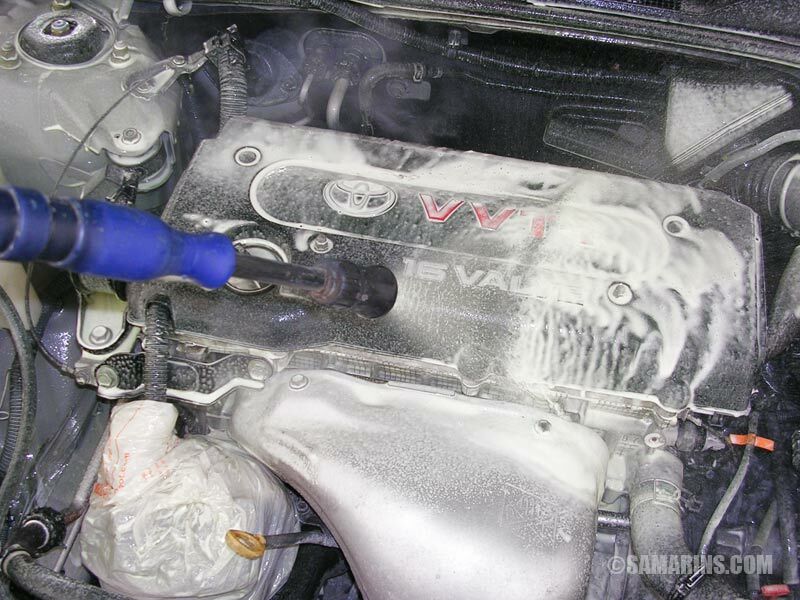 There are several ways to clean intake valves. It can be done with a special solution that sprays inside the intake while the engine is running or manually. Cleaning valves manually is more effective, but it requires more labor. Check these Youtube videos for more info. How do you know if your spark plugs need changing? 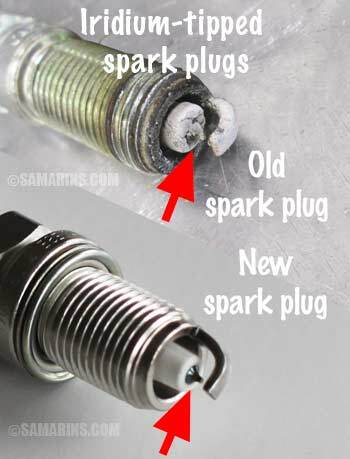 Old conventional spark plugs have a larger electrode gap. Some cars have conventional spark plugs, some have long-lasting (Iridium/Platinum) spark plugs. Conventional spark plus wear out with mileage and the electrode gap increases, see the photo. The larger gap requires higher voltage to produce a spark. This adds load on the ignition coil and a spark plug wire. 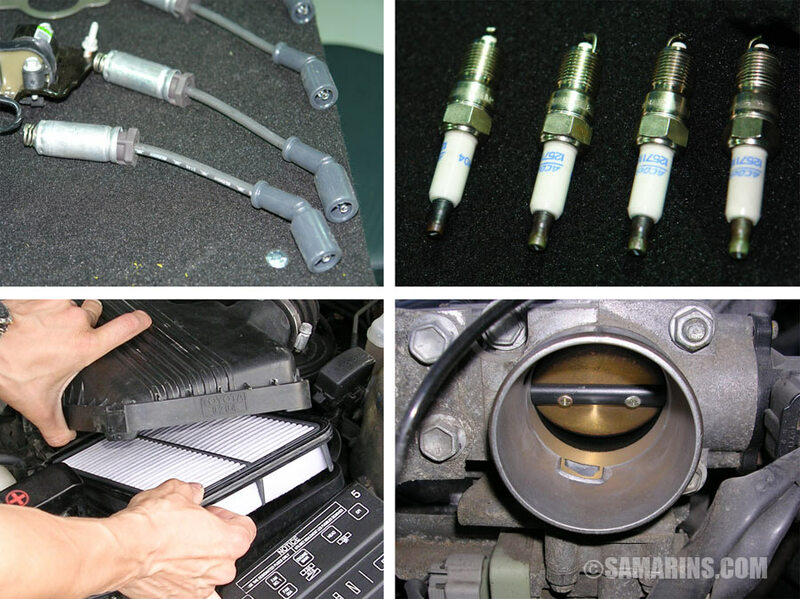 Eventually an ignition coil fails or a spark plug wire shorts out causing the engine to misfire. Conventional spark plugs need to be replaced at lower mileage, before 60,000-80,000 miles. Many modern cars have long-lasting platinum- or iridium-tipped plugs. The electrode gap stays the same longer, but spark plugs can get contaminated. New vs. old Iridium-tipped spark plugs. We have seen iridium-tipped spark plugs last for over 160,000 miles. 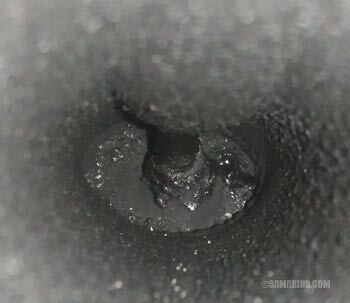 However, we have also seen many cars where contaminated spark plugs were causing ignition coils to fail much earlier. The symptoms of worn-out or contaminated spark plugs include rough idle, occasional misfiring at start up and acceleration. Often, however, there is no symptoms until an ignition coil fails. Read more about ignition coils problems, when to replace and repair costs. Does your car have long-lasting spark plugs? One way is to check the maintenance schedule for your car. If it says replace at 120,000 miles, it's probably long-lasting ones. You also can check in the Specifications section of your owner's manual, it will say it's iridium or platinum-tipped or it will give you the part number. Google the part number and it will tell you what kind of spark plugs you have. Long-lasting spark plugs are more expensive, around $25-$40 apiece. Conventional spark plugs go for $8-$16 each. Should you wash a car engine? There is no reason to wash the engine other than for appearance. There are many components in the engine bay that are not designed for presence of water. For example, in older cars, water often shorts out the components of the ignition system. We also have seen bearings in the alternators or belt tensioners becoming noisier after the engine shampoo. Some electrical connectors can corrode if water penetrates inside. In many cars, the engine computer is installed in the engine bay, and this is not the part you want to get wet. If you do want to shampoo your engine compartment, have it done at the shop. A mechanic or detailer can dry the engine compartment well with compressed air and polluted water will go through the proper recycling. When to replace a timing and serpentine belt? Not all cars have a timing belt. Many modern cars have a timing chain instead of a belt. You can check your maintenance schedule, it usually mentions when a timing belt must be replaced or at least inspected. A timing chain doesn't need regular replacement. In most cars, timing belt replacement intervals vary between 60,000 and 105,000 miles (96,000-168,000 km). 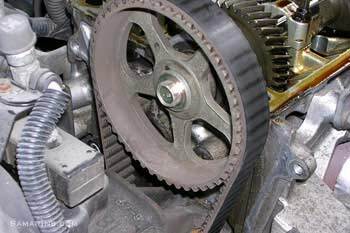 Read more about the timing belt. All gasoline- or Diesel-powered cars have at least one serpentine belt. An old serpentine belt can break, which means your car will have to be towed in. If a serpentine belt shows signs of wear or is found to be soaked in oil it must be replaced. Read more: Serpentine Belt: problems, signs of wear, when to replace, noises. Do turbo engines require more maintenance? 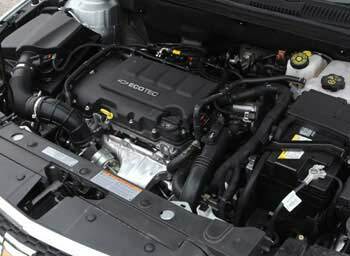 Chevrolet Cruze 1.4L turbo engine. A turbocharger turbine is spun by exhaust gases that are extremely hot, but the turbine shaft is lubricated by engine oil. This means that engine oil in a turbo engine must be capable of withstanding much higher temperature. For this reason, many turbocharged cars require special synthetic oil. If your turbocharged engine requires mineral oil, make sure to have the oil changes done regularly, as mineral oil carbonizes much faster in a turbocharged engine. When you stop a turbocharged car after a long uphill climb, towing or driving hard, don't shut the engine off right away. Let it idle for a while to cool down the turbocharger.